Home > Ask The Experts > Need More Info About Due Diligence. What Is Needed, Time Allowed? In answer to your question regarding diligence. As for the time period, it would be determined by the type of business being reviewed. Some business models may take more actual hands on experience and technical knowledge which would require more time. For Laundromats, I usually look at 3 weeks following receipt of the documents. We will spend a great deal of time looking at the activity, Income and operating costs. We review the equipment condition and also examine the market area and competition. This is your only oportunity to get a true feeling of the business, its place in the market and access the potential going forward. I recommend to my clients that they take this time to develop the new model to go forward with at this time. You should be fully confident at the end of the diligence excercise in the information you were given is reasonably correct, the condition of the business as it stands and knowing what improvements need to be made and at what cost to develop the business into what you want it to be. You should have full confidence in your own ability to fit in and improve the business. As for records. You should not be denied anything. Income and expense records, the lease, the equipment details and service records are also helpful. The utility records are important to a laundry but not too significant to many businesses so you need to know what deatails are important to the business. You need to know what you need to know by the time you make an offer. The diligence period is more than a records check. Diligence is the period for developing your model going forward, to get to know the business as it is and gain a good understanding of its potential. It is a critical phase of business ownership. Make the best of it and never look back. 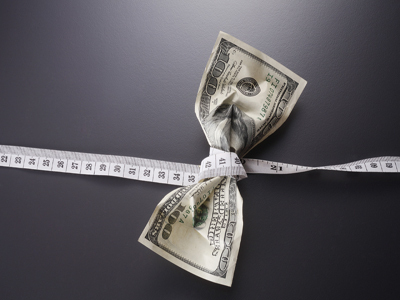 The due diligence requirements for different types of business will vary. There are firms that provide due diligence services that you may want to use. But here are some general answers to your question. I recommend 3 weeks for the due diligence. This involves providing Seller with a list of requirements, getting together for a full weekend of review and analysis of the materials, and follow on questions during the following week. Seller will provide copies of some information and make other information available onsite for your review. The purpose of the due diligence is to verify that the business financials are accurate and that there are no known factors that would impact the business in a negative way going forward. Information that is generally provided to Buyer are copies of complete federal Tax returns, Profit & Loss statements, Balance sheets, Seller’s Disclosure Document, copy of building and other leases, and summary of Payroll records. Information that you would then review to verify the revenue would be copies of all customer invoices (to verify revenue), bank statements (to verify actual deposits), merchant account statements (for credit card processing), customer contracts. Information you would review for verifying the cost of goods would be Vendor Invoices, bank statements, credit card statements, vendor contracts, etc. Information needed to verify payroll expenses would be the year-end payroll records, and most recent quarterly payroll records. To verify all other expenses, you would review the monthly bills from various vendors. You would review the monthly lease payments from the bank statements. If Seller states that some of the expenses shown on the financials were for personal use and not necessary for business then that needs to be verified in some way. In addition to the financial verification, you would want to know whether the business has any issues with or notices from regulatory agencies, etc. This could include notices of permit violations, license violations, upcoming changes in regulations (e.g. Trucks needing new SMOG installation). Sometimes even if the business is compliant, new regulations may apply to you upon change of ownership, especially if you plan to make any changes. For example any remodel may then require ADA compliance. Another important aspect is to verify what may be missing from the financials. Some examples of this are subsidized cost of purchasing from a related party, subsidized rent payment that won’t continue, family members who work there without compensation, employees who are paid cash (so expense is not shown or at least the payroll tax burden is not shown), lack of workman’s comp insurance or employees being categorized as an independent contractor, not following the overtime rules, use of family vehicles or equipment that is not included in the sale. I have found that the best way to discover all this is to create a profit and loss statement with information of how it would be when you run it (Pro-forma financials). In this you review each line item and plug in what is necessary, e.g. Revenue, Cost of Goods (at the correct percentage of revenue that you would expect to pay), Rent (the rent including CAM charges from lease documents), payroll based on hourly rate and schedule including overtime as necessary, Insurance, Utilities, etc. This way you will discover if any of these items are not in line with what you would be expected to pay. This will also help you spot if expense for a certain month was paid in a different month, e.g. between December and January. This will change the bottom line profit for each of those years. The normal things to ask for are tax returns 3 or more years, P & L statements for the same years plus the current year to date. Also request a copy of the lease with all options, Quarterly Payroll tax returns to the EDD (Employment Development Dept). The issue is that there are no normal businesses. Every type of business is unique, and every company is unique. While looking over the above financial information questions start coming into your mind and the pandora box of questions can be endless. These questions should be asked and answers received. Due diligence should be done in layers very much like pealing an onion. Gather information and review it. Then based on what you find, gather more information and see what you find. The difference between a novice and a professiona is that a professional knows what questions to ask, while a novice may think he knows what to ask but doesn't really. Familiraity with a business lets you know where the bodies are buried. When all is said and done, I then ask for the detail accounting records and check every entry to find the entries that raises more questions. This does not take very long, but this is where misrepresentation is caught if missed earlier. It only takes a week to do the necessary due diligence, but you need three weeks to collect information and to make sure you have it reviewed by a professional before you remove your contingencies. Never remove your contingenies until you have actually had the due diligence completed by yourself and a trained professional CPA or Due Diligence expert. My brokerage company is involved exclusively in the sale of restaurants but my response could be applied to any business. The due diligence process should be done in an atmosphere of "an open book". But with that said, the Buyer should specify what items they are going to be looking at (but give yourself some wiggle room because this process is a little like a scavenger hunt). Sometimes a piece of information will lead to another question which leads to another piece of information. If the property is leased, you must review the lease. 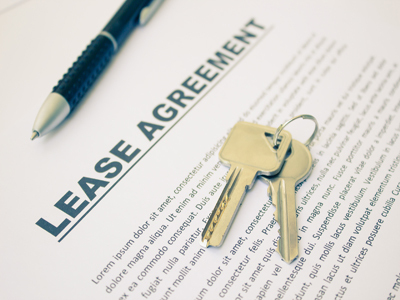 Get your attorney to help you review the lease to make sure you completely understand it. One single word one way or another can make a big difference in meaning. The financial information needs to be reviewed. Look at source documents like tax returns, sales tax returns, bank statements, invoices, etc. Don't rely on just internally generated documents. Whatever it takes for you to be comfortable that you have a complete understanding of the financial situation is what you are looking for. Do a physical inspection. Get a professional to help if needed. Don't be afraid to ask any question that comes to your mind. Make the clock start ticking when you receive all the information. For restaurants, usually a couple of weeks is sufficient to do due diligence if the information is readably available. Visit the appropriate governmental agencies. For restaurants, the health dept is part of the due diligence process. Check permits and ask questions about the employees. Ask questions about competition and anything that can affect future sales.